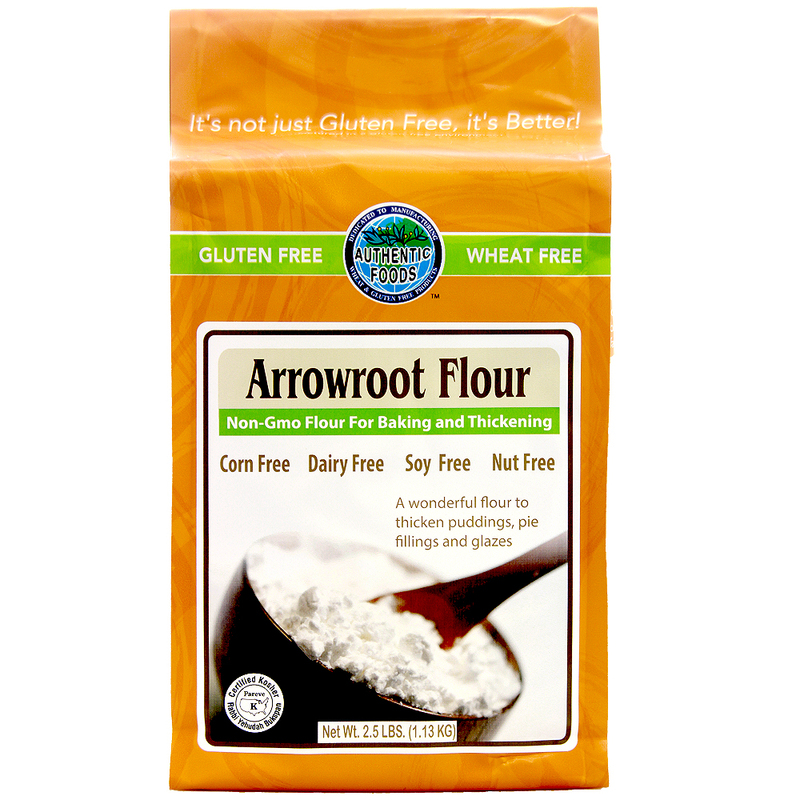 The Authentic Foods Arrowroot Flour is Non-GMO. The flour is extracted from the root of the marantha arundinacea plant which is indigenous to the West Indies. The aborigines from the West Indies, also known as Arawaks, used this powder to draw out toxins from people who were wounded by poison arrows. Thus, the name arrowroot came to be. Flour substitute alone or mixed with rice flour for gluten-free baking. If used alone, the substitution is 1 teaspoon Arrowroot flour = 1 tablespoon wheat flour. Thickening agent for sauces, fruit pie fillings, glazes, and puddings. Directions for use as Thickening Agent: Cool the liquid you would like to thicken. Then mix in a tablespoon or so of the Authentic Foods Arrowroot Flour. Heat the mixture until it thickens. Blend the Authentic Foods Arrowroot Flour and sugar in a small bowl. Add in 1/2 cup of milk and stir until smooth. Heat the remaining milk, Authentic Foods Vanilla Powder, and lemon zest in a heavy saucepan until scalded or boiling. Add the arrowroot mixture and stir constantly until it thickens and comes to a boil. Remove from heat and slowly drizzle in the egg substitute, stirring constantly with a wire whisk. Strain to a serving bowl and chill. The pudding goes well with fresh fruit and/or whipped cream!